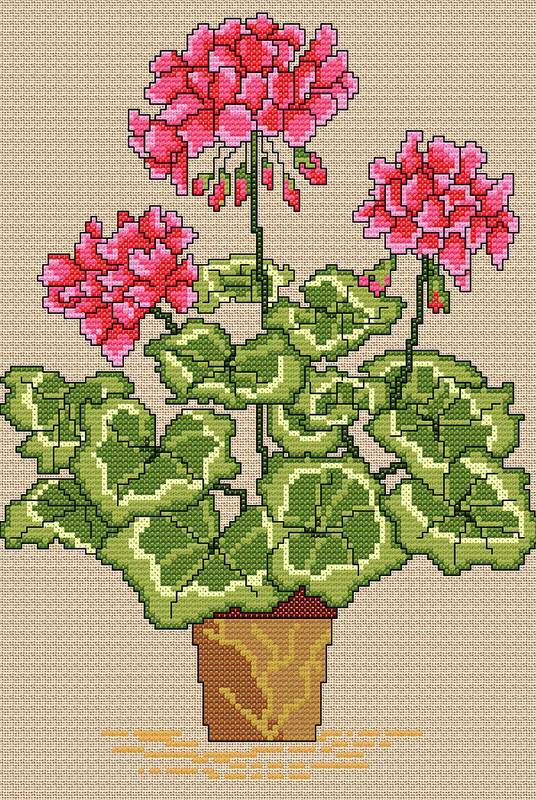 I was asked to design a geranium like the one illustrated about ten years ago! It was for a member of the Geranium Society in Essex. She won 1stprize for her display with the stitching in the middle of her flowers. This gorgeous flower just says summer - as I write this the geraniums in our courtyard garden are positively sizzling in the sunshine! The design is stitched in pure cross stitch and may be worked on linen or Aida fabric.